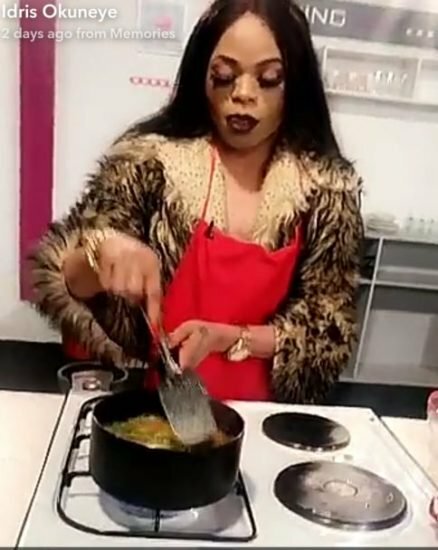 Popular cross-dresser/transvestite, Idris Okuneye popularly known as Bobrisky is definitely taking his cooking skills across the border. The bleaching expert in a series of post shared photos from a cooking competition which held in Ghana where he revealed he represented his country. We known Bobrisky is a good cook, but we’re unsure if he won the competition or not.